P.E.O. is a philanthropic organization where women celebrate the advancement of women; educate women through scholarships, grants, awards, loans, and stewardship of Cottey College; and motivate women to achieve their highest aspirations. P.E.O. (Philanthropic Educational Organization), one of the pioneer societies for women, was founded on January 21, 1869, by seven students at Iowa Wesleyan College in Mount Pleasant, Iowa. Originally a small campus friendship society, P.E.O. soon blossomed to include women off campus. Today, P.E.O. has grown from that tiny membership of seven to almost a quarter of a million members in chapters in the United States and Canada. The P.E.O. Sisterhood is passionate about its mission: promoting educational opportunities for women. Our sisterhood proudly makes a difference in women’s lives with six philanthropies that include ownership of a two-year women’s college, Cottey College, and five programs that provide higher educational assistance: P.E.O. Educational Loan Fund, P.E.O. 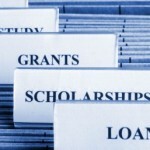 International Peace Scholarship Fund, P.E.O. Program for Continuing Education, P.E.O. Scholar Awards, P.E.O. STAR Scholarship. Cottey College is a fully accredited liberal arts college for women at Nevada, Missouri, owned and operated by the P.E.O. Sisterhood since 1927. Cottey College Policies and Procedures (pdf). Find more information about P.E.O. Educational Loan Fund (ELF), established in 1907, makes loans available to qualified women who desire higher education and are in need of financial assistance. An applicant must be recommended by a local chapter of the P.E.O. Sisterhood and be within two years of completing her course of study. The current maximum loan is $10,000 at 3% interest and due six years from the date of issue. Following the graduation date originally stated on the application, interest will begin accruing and will be billed on an annual basis. Interest accruals and payments will not be deferred if the student continues with further study. P.E.O. International Peace Scholarship (IPS) Fund was established in 1949 to provide scholarships for international women students to pursue graduate study in the United States and Canada. Cottey College–Students interested in pursuing a degree at Cottey College. P.E.O. Program for Continuing Education (PCE) was established in 1973 to provide need based grants to women in the United States and Canada whose education has been interrupted and who find it necessary to return to school to support themselves and/or their families. They must demonstrate a need for financial assistance with their educational expenses to improve their marketable skills for employment. The maximum grant is $3,000. Lesser amounts may be awarded according to individual needs and available funds. Regardless of the amount awarded, the grant is for one time only. The money is intended as a grant-in-aid for expenses such as tuition, books, transportation, or childcare, necessary to reach the applicant’s educational goal. The grant is not to be used for living expenses or to repay educational loans or to cover the cost of prerequisite courses. P.E.O. Scholar Awards (PSA) was established in 1991 to provide substantial merit-based awards for women of the United States and Canada who are pursuing a doctoral level degree at an accredited college or university. doctoral level degree or are engaged in postdoctoral research at an accredited college, university or institution. In addition to recognizing and encouraging excellence in higher education, these awards provide partial support for study and research for women who will make significant contributions in their varied fields of endeavor. Priority is given to women who are well established in their programs, study or research. Established in 2009, the STAR Scholarship provides a $2,500 award to high school senior women who wish to pursue post-secondary education. Exhibits excellence in leadership, extracurricular activities, community service, academics and potential for future success.